The runway is embracing taking gym wear to the streets this Spring! We love comfy pants, bright colors, and a comfortable sweatshirt. But athleisure takes it one step further by making it classy, comfortable and completely acceptable for out on the town. If you’re looking to update your footwear, we suggest checking out our Boutique Sneak on the website! Gone are the boring flat shoes, and all white. Spring 2017 is embracing the lift! Higher the better! Heels, platforms, bold colors! If you’re looking to add a sky high heel to your wardrobe, we suggest Me Chelle! Spring 2017 will be filled with making statements. Shirts that express opinions are going to be all the rage this spring. Pair them with jeans, skirts, and go to town! Express exactly what you’re feeling, and what you believe in! If you’re looking for a shoe that makes a statement, check out this Odette! It’s got sass, style and gorgeous detailing! Spring is about patchwork, and tying it into gorgeous feminine styles this spring! Patches on sweaters, dresses, skirts and even coats can help you stay on trend and embrace this funky and fashionable new look! Patchwork boot is all about this style! Check it out if you’re looking for some gorgeous footwear! Pink is the color again this Spring! It won us over last season, and continues to wow. Embrace the bubblegum, cotton candy, and baby pinks because you’re going to see them all over! Gorgeous feminine outfits will be all over! Hop on the train now! If you’re looking to add some more pink to your wardrobe, check out The Going Rate! 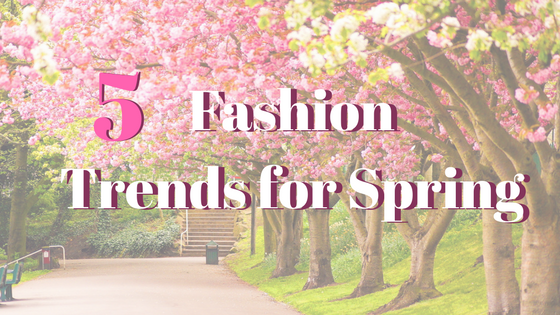 Thank you for checking out these Spring trends with us! We appreciate all our readers, and as always if you have comments, questions or suggestions, feel free to email us at info@superbcouturefootwear.com! Stay SUPERB!